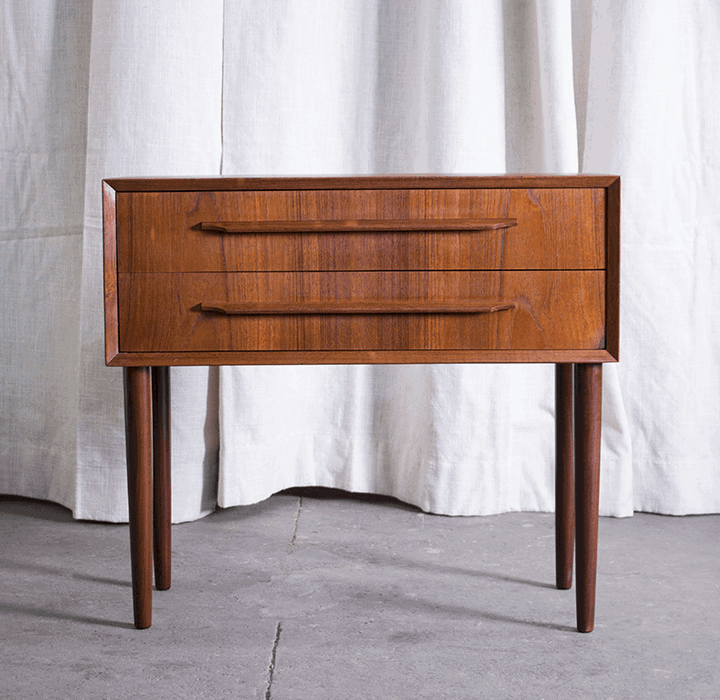 Danish Modern Small Three Drawer Dresser. 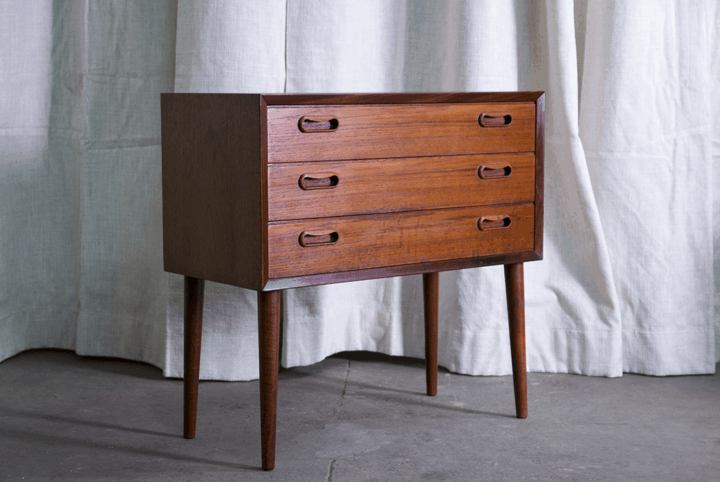 A sturdy and attractive little dresser that would make a great base for a flat-screen TV or can used as a nightstand. It has the original finish. Shipping price listed is approximate- you can always pick up locally or we can arrange for shipping to your location. The cost will vary based on your zip code. Contact us for a quote. 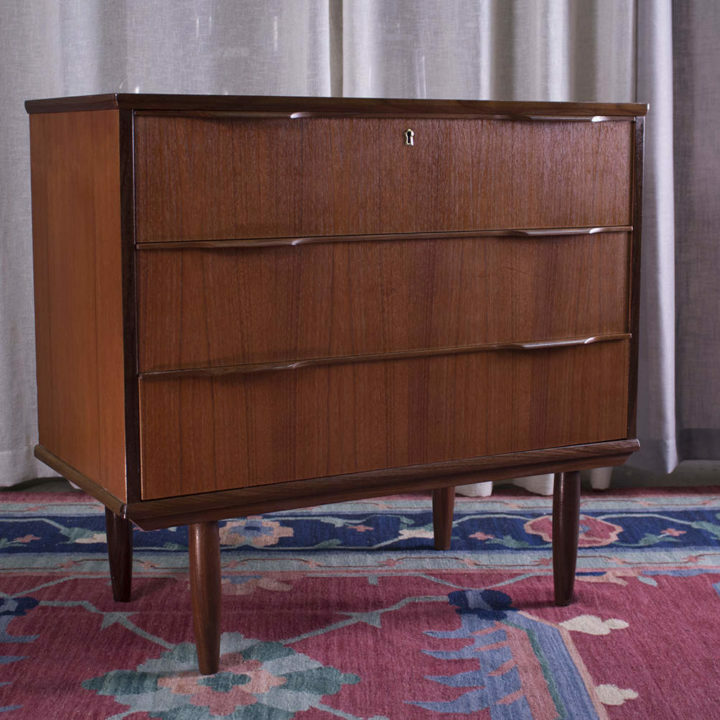 Danish Modern Small Three Drawer Dresser. A sturdy and attractive little dresser that would make a great base for a flat-screen TV or used as a nightstand. It has the original finish.